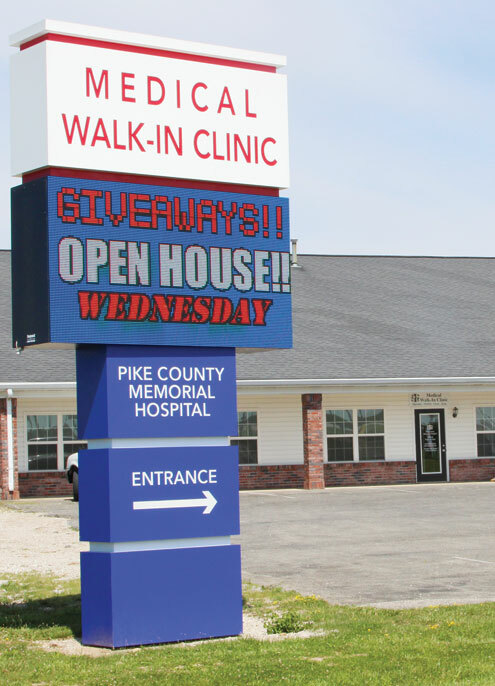 The new Pike County Memorial Hospital Medical Walk-In Clinic is set to open on Thursday, June 29. The new after-hours and weekend clinic in Bowling Green is located just off the round-about, in the Century 21 building. The hours for the new facility are Thursday through Monday 11 a.m. to 7 p.m.
PCMH is answering the much needed call to provide options for working families. “We look forward to providing care for you and your family during off hours and weekends because we know everyone can’t take off work to go to the doctor and it always seems as if kids get sick at 5pm or on the weekend,” said Justin Selle, PCMH CEO. Another positive is that we are setting it up so that if you have insurance, you would pay your primary care physician co-pay, which is usually less than an urgent care visit co-pay. Hopefully this will help keep some money in your pocket. An open house is planned for Wednesday, June 28th from 2 -4 p.m. All are welcome to come by and see the new facility. We have Pike County Fair tickets, Cardinal Baseball tickets and more to giveaway.